Four new polls today, including one in the all-important state of Michigan. Bush is gaining there and the state is close to a statistical tie now. In Minnesota, a new poll also shows Kerry with a tiny lead, but also within the margin of error. 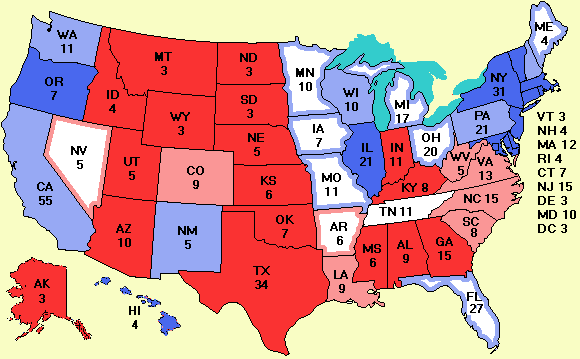 Massachusetts and Oklahoma are safe for Kerry and Bush, respectively.